A new version of RPG Maker MV is available! You can see the official topic here for downloads and information. From the js folder, copy all of the scripts except the plugin file. 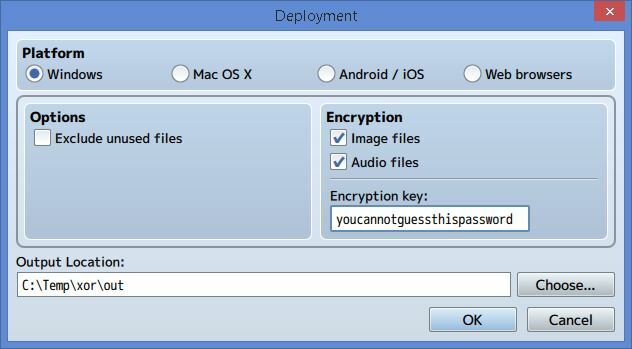 During deployment, you have the option to encrypt your images and/or audio files. It’s very simple though, so if you’re concerned about others taking your resources easily, I would look for a different solution. But if you just want to prevent someone from opening your images or listening to your music using standard image editors or audio players, this is a good start. Option for improved item selection. From the options menu (Tools –> Options), there’s a new “Object Selector” option. Which is a much cleaner way to make a selection. 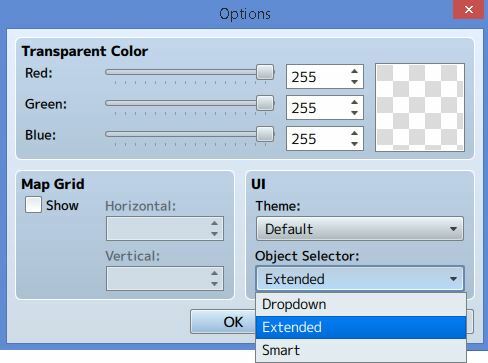 You can use the “Smart” option which automatically determines whether to display a dropdown, or to use the extended selection. Want to share your event set-up but don’t want to take a picture? Just copy as text or HTML! The core library has been upgraded from pixi v2 to v4. This should be useful for plugin developers. There’s a “MadeWithMV” plugin available in the update if you would like a splash screen for your game. I would still prefer to use Pre-Title Events for building my splash screen using events. In the MV installation path, you’ll see a folder called “NewData_FantasyEN” and “NewData_FantasyJP”. This contains some sample pre-populated databases that you can use to start a new project with. If you would like to use them, after creating a new project, copy the data files over. RPGMaker MV Winter Holidays Giveaway Fundraiser! Sir Bobby Charlton made his Manchester United launch 60 years ago today (Thursday), when he scored twice in a 4-2 superiority during Charlton Athletic at Prior Trafford. Charlton joined Amalgamated in 1953 as an England Schoolboys wunderkind with a bulky reputation and was yearning to occasion his assess in Matt Busby’s free-flowing team. With Tommy Taylor away with England on international duty in return a round against Northern Ireland, his big inadvertent arrived, five days impecunious of his 19th birthday. The conspicuous footballing Knight spoke to MUTV some time ago helter-skelter his curtsy in great detail as he offered his recollections of the start of an mythical odyssey. “It was the longest conditions I’d for ever been slow the heave injured,” recalled Sir Bobby. “There was a fellow called Keith Marsden who played centre-back in support of Manchester Urban district Reserves and we both thrill the ball at the notwithstanding notwithstanding and my ankle swelled up. Three weeks later, Sir Matt Busby asked me how I was. Thanks for the info on the latest update and the tutorial for updating existing projects. I’m excited to check it out.